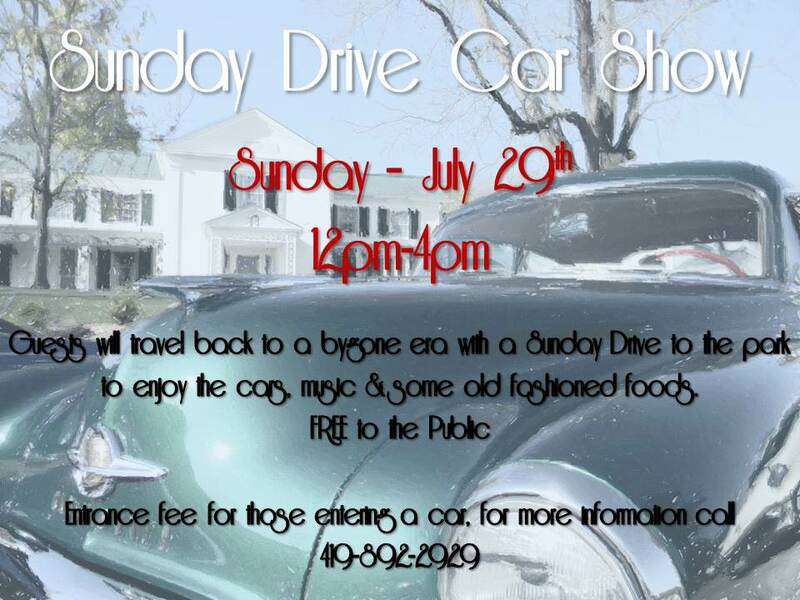 Guests will travel back to a bygone era with a Sunday Drive to the park to enjoy the cars, music & some old fashioned foods. The "Malabar Farm Foundation" and "Malabar Farm State Park" invite you to enjoy the 4th Annual Car Show featuring cars from the Fabulous 50's! Registration for judging is $10.00 and will be from 10:00am-2:00pm. There will be dash plaques for the first 125 registered, 40 awards given and door prize opportunities. Participants will enjoy a DJ, "Rockin' Al" and food concessions. For more info, call Victoria Cochran at 419-892-2929. Public Big House and Wagon Tours will be available.